I am so grateful that I am not burdened with adult acne but I know it is a problem for so many. That's not to say that I didn't have acne trouble as a teen, and my daughter is not exception. 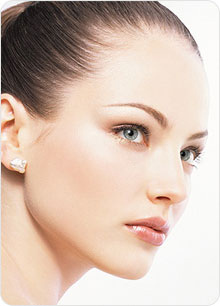 While her skin is fairly trouble free some of the month, the rest of the month she is plagued with terrible breakouts. Full of compassion for her difficulties, I was thrilled to be given an opportunity to test Pantothen, the Natural Acne Solution! Having been previously unfamiliar with Pantothen, I was eager to learn more, in particular, if I could feel safe allowing my daughter to try it! My concerns were quickly assuaged. If you are a parent of a teenager or a teenager yourself interested in taking Pantothen, we'd like to inform you that Pantothen is completely safe for consumption for adults and teenagers, and is recommended by a growing number of dermatologists nationwide. Unlike Accutane and popular acne creams, Pantothen is made of only natural ingredients and does not include any chemical agent. Fantastic! Yet, I still needed to know more about how Pantothen worked, to be completely comfortable! When you try all-natural Pantothen, it will work with your body to break down the fatty oils that are the real cause of acne. As these oils are eliminated and naturally processed by your body, so they'll never again have the chance to build up and make you look like a pizza face. Instead your skin will start to clear up naturally, and you'll feel more confident. You'll be glad to go out because you'll know you look beautiful. People will be jealous of your glowing skin and your social life will become more active than ever before. Pantothen is sounding more like a serious acne-fighting contender, but there is yet the question of "What are the ingredients?". Yet, for years, people didn't use pantothenic acid to cure acne for one simple reason the doses needed for it work were so high that it caused gastric distress and bloating, which made women look fat. But recently it was discovered that much, much lower dosages of pantothenic acid would eliminate acne if it were combined with L-Carnitine. At these dosages, pantothenic acid doesn't cause gas, bloating. Solid science! Ready to put Pantothen to the test! My daughter has been testing Pantothen for the last four weeks. True to the Pantothen claim, while we did see some minor signs of breakout "wanna be's" her monthly reaction was no where in the ball park to her normal violent acne flare ups! Success! While she was quite appreciative of the effectiveness of Pantothen, she was a bit taken aback by the size of the Pantothen tablets and frequency of dose - four times per day. While we have not experimented with fewer doses, we did discover that by cutting the tablet in half , she had an easier time with the doses, making the frequency not really an issue. Those points aside, Pantothen received enthusiastic accolades! Thank you, Pantothen! 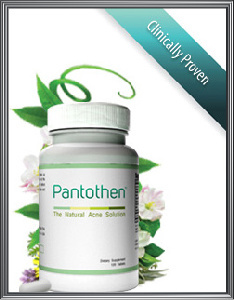 The Panthothen website is both highly educational on the topic of acne, as well as informative about the Pantothen Natural Acne Solution. Take the reigns in your battle against acne ~ naturally! Take advantage of Pantothen's 90 day guarantee to try yourself! Pantothen is currently running a great special ~ Buy 2 bottles and get one free, with purchase eligible for free shipping to US & Canada! I was provided with Pantothen to explore for the purposes of creating this review. The opinions above are both honest and my own. My experience may be unique and should not be considered a guarantee of others potential experiences. Images and information sourced from Pantothen online sites.